Texas-based siding manufacturer Norandex is a popular choice for homeowners all over the nation, but they’re perhaps most recognized for their durability and their notoriety as a storm-proof option for homes located in extreme climates. Their hail damage warranty and insulative options make them well-suited for homeowners looking to save money on heating and cooling costs and keep out drafts as well. Below you’ll find more information about purchasing Norandex siding– its cost, reviews, warranty information, as well as how using this product can help you save energy in your home. Norandex is available in insulated or standard vinyl, composite polymer, or textured cedar shakes. However, their Polar Wall Plus brand is their flagship product as it is their insulated siding which purports to be weather-ready and energy-efficient. They also offer metal siding that can provide extra protection for those homes in areas prone to extreme weather. Siding from Norandex comes in wide variety of textures– everything from standard horizontal clapboard to vertical board and batten looks are covered in their repertoire. 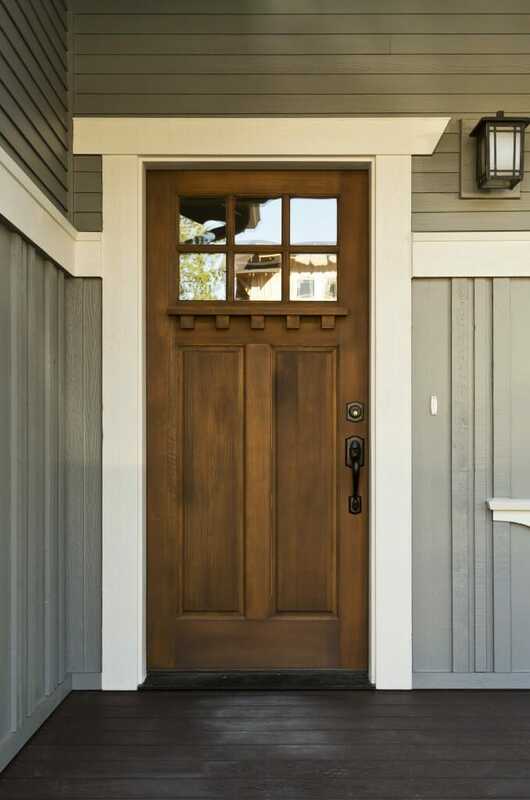 However, their color options make them very appealing for a homeowner looking to make their mark on the neighborhood. Their Great Barrier brand, for instance, is available in everything from your traditional creams and neutrals to more unique shades like deep russet or rich evergreen. Most of Norandex’s options are NGBS approved. That means they’re made using environmentally-friendly manufacturing or materials, which can help a home or project receive National Green Building Standards certification, an industry recognition for especially innovative green structures. Additionally, their insulated siding is included in the EPA’s ENERGY STAR program, so residents who use it may qualify for national or local government incentives, in addition to getting superior energy performance around the home. Norandex’s siding comes with a lifetime warranty for damage and defects beyond normal wear and tear and weather. They take pains to point out that their warranty includes a clause covering owners for hail damage that may not be included in homeowners’ insurance. However their policy is limited, meaning that anything ruled normal weathering or an act of God by the company is excluded from their coverage. Like most siding manufacturers, Norandex recommends using a soft-bristled brush and a gentle detergent when washing their products– harsh chemical cleansers, especially bleach, can damage the siding. That makes cleaning a little bit of a challenge, as you won’t be able to use a power washer, for instance. Norandex ranges on the more affordable side of the market, especially for insulated siding. It runs around $1.50 per square foot for the Great Barrier collection to $5.00 a square foot for more expensive lines. Bare in mind that you’ll have to pay more if you opt for trims and soffit as well, so make sure to factor that into your final calculations. Because Norandex is a smaller company, there is not a huge amount of reliable homeowner data for their products. However, their Polar Wall insulated siding has been reviewed by Consumer Reports and received respectable, if not outstanding, ratings. The main issues seemed to be with how the material withstood very hot and cold temperatures, especially in lower temperatures as it was given mediocre marks. Like all vinyl siding brands, Norandex is susceptible to buckling and cracking after sometime, especially in a climate that experiences extreme highs and lows. Norandex is still a growing company, and in some way, their materials are best suited to climates that match those of their central Texas headquarters. For storm and especially hail-prone areas, however, they boast an impressive array of designs, textures, and colors at a considerably affordable prices. Additionally, they’re a decent choice if you’re hunting for an insulated siding option that won’t deplete your savings fund.